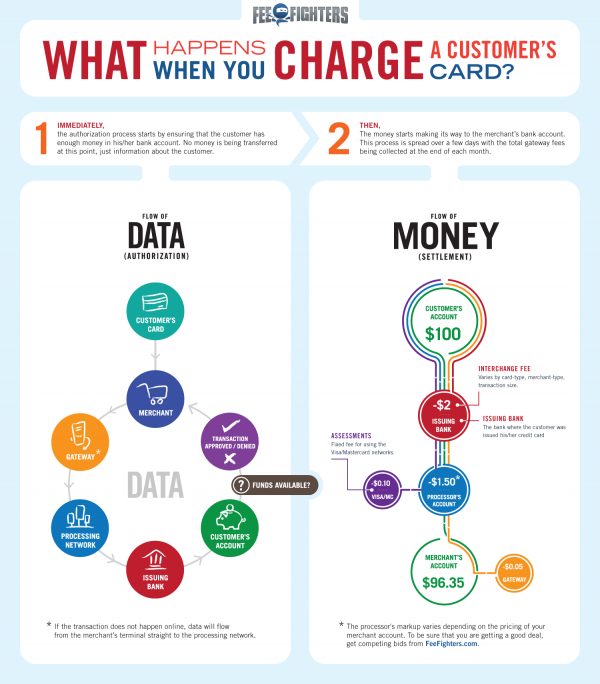 Ever wondered about the nuts and bolts of the credit card charging process? I personally hadn’t–until I saw this graphic, which succeeded in getting my attention. After reading the graphic, I was shocked to discover just how complicated the process actually is. This graphic describes (in excruciating detail) exactly what happens when you hand a cashier a credit card and he or she swipes it. Right off the bat, the machine ensures that the customer has enough money in his account. The computer looks up information about the customer to verify that everything is copacetic. No money is being transferred for the first few seconds of the transaction, just info about the patron. After the check is complete, the money begins its slow crawl toward the merchant’s bank account. It’s so slow in fact that the money transfer is actually spread over a few days. The total gateway fees aren’t even collected until the end of the month. According to the graphic, a typical transaction of $100 will net the merchant about $96 after all the fees have been tallied up. Now, let’s move on to everyone’s favorite segment. The grading showdown. This design isn’t gong to make anyone stop what they’re doing and do cartwheels in the street to celebrate its genius, but it’s a solid graphic, nonetheless. It’s hard to make this topic interesting, so it’s fair to say that the creator did the best they could given what they had to work with. Again, how much is there to really examine in this narrow topic? If I was writing this graphic, I would feel constrained, and I’m sure the writer felt that as well. The writer tried to make this topic as intriguing as they could, but I’d wager that they eventually hit a wall. There’s only so much they could do with this graphic. I suppose they could have put unrelated stats (as many graphics here at the infographic showcase tend to do). For instance, they could have said, “The entire transaction takes ten seconds. 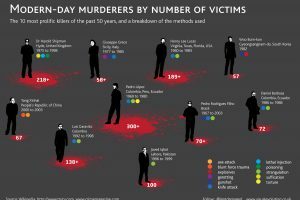 In the same time frame, a burglary is occurring somewhere (since one burglary occurs every ten seconds).” But after a while, these kind of unrelated stats get a bit cheesy, so I don’t know if throwing in unconnected stats would have made this graphic any more entertaining. Overall, this graphic is a decent effort.